← Two soups to make right now. 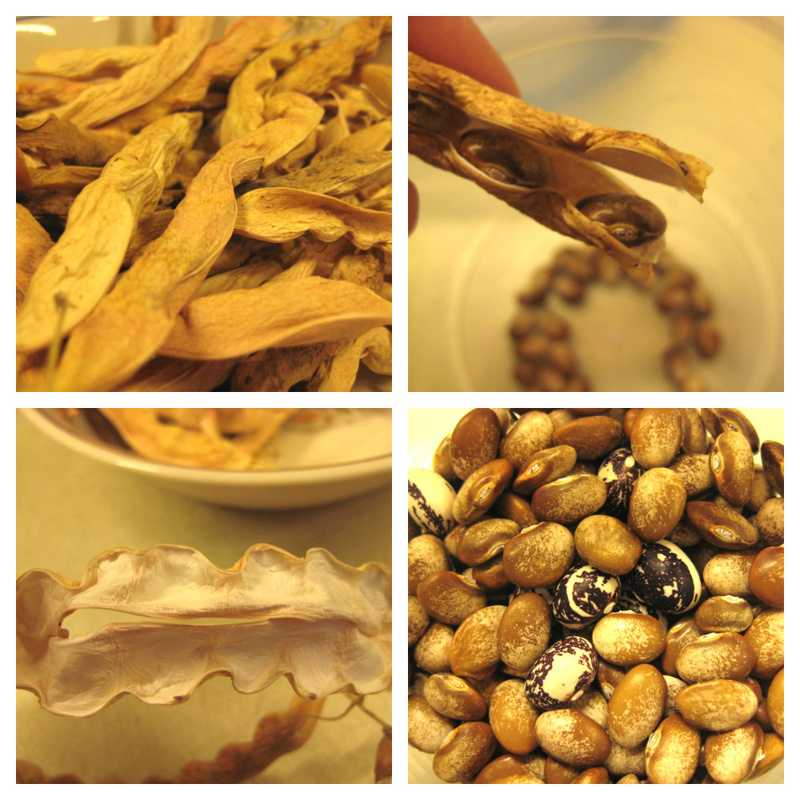 I really enjoy the task of shelling dried beans at the end of the season. They pop right open and the beans are easily removed. It’s satisfying to fill up a bowl with dried beans and then run my hand through them, thinking about how months ago I planted a few beans in the ground and now I have a whole bowlful to enjoy. This year I planted Turkey Craw and Good Mother Stallard both from Seed Savers Exchange. From the SSE online catalog you can purchase beans for planting and bags of beans for cooking. So it’s not too late to place an order for some quality dried beans even if you didn’t plant any yourself this year! Beans are a nutritious, filling bang-for-your-buck food and no pantry should be without. I’m glad I grew some of my own this year. And though I didn’t get a huge harvest, I am happy to have been a part of the process of getting this staple into my pantry. Maybe next year I’ll try a new variety or grow more. And I should mention, if shelling beans doesn’t thrill you like it does me… it’s a great activity for the kids to do. My five year old LOVES to shell the beans and it keeps him busy for awhile. This entry was posted in Vegetables and tagged beans, dried beans, good mother stallard, growing beans, seed savers exchange, shelling beans, turkey craw. Bookmark the permalink. Nice post, Angela. I look forward to hearing about the yummy dishes you cook up with those SSE beans! Thanks John… love those SSE beans and planning to grow more next year. the correspondence signoff for your Uncle Don and me.